Whether by day or by night, in a uniquely serene setting with ample and luxurious setbacks to create open view lines, with a large private garden, and Yonge Street a few short steps away, you have the premier combination of urban living and a park like setting. The Diamond benefits from being located on Yonge Street and the ease of access to every amenity you would want. You have the most cosmopolitan selection of foods at your doorstep, from organic grocers, to traditional and specialty stores and the best restaurants a few steps away. While also having a unique feature of being set back from Yonge Street so that you have a true oasis of convenience and comfort, quiet and exclusive residential living. An array of amenities rejuvenates the body, mind and spirit. The ground floor features a theatre room, a superbly appointed party room with full kitchen and a games room strategically contiguous to allow flexibility of use for smaller or larger gatherings. The Diamond library offers a quiet place to relax and read by the fireplace. The outdoor gardens are accessible from the party room and have BBQs and seating for outdoor dining. On the second floor, there’s a fully equipped fitness centre, yoga studio and his and her saunas and change rooms. We have two fully furnished guest suites for your exclusive visitors and a 24 hour concierge for your convenience and security. With high ceilings and floor to ceiling glazing facing the stunning gardens, the party room is appointed with sumptuous sofas and chairs, classic wood flooring, luxurious carpets and contemporary accents to set the high standard for your entertaining needs. The forecourt of The Diamond welcomes you. It offers a serene oasis in the city, a place to rest, reflect, and feel at one with nature. It also allows for unique social opportunities where you and your exclusive guests can gather and celebrate. The private park-like space is composed of articulated stone walls, integrated with sophisticated wood and metal combined with a formalized planting palette to create a stunning, well-delineated area. Interior to the courtyard are secondary stone walls that further divide the space, in order that residents may create their own outdoor environment, whether it be an outdoor living room, a dining area, or a rose garden reading area. The result: tranquil, elegant outdoor living in the heart of North York’s City Centre. That network, and that convenience, simply can’t be matched. Connected and convenient, North York has become a hip, refined urban destination with gourmet restaurants, chic salons, designer shopping and award-winning theatre. Experience it all — from The Diamond.
" Diamante is a specialist in building urban dwelling spaces that incorporate innovative designs and opulent features for a luxurious lifestyle. – Builder/Architect"
Diamante has earned an international reputation for constructing, designing and developing projects of superior quality and aesthetic excellence. Lisa Rochon, of the Globe and Mail writes that One City Hall Condominiums “ …has moved Diamante into the ranks of Canada’s most enlightened developers”. Achievements so far include over 5000 residential units in Canada, the United States and Taiwan. Diamante’s pursuit of design perfection is relentless. Their scrupulous attention to detail and quality is exemplary and their technical expertise transforms inspired ideas into outstanding living spaces and successful financial real estate investments and developments. Diamante holds an Excellent rating from the Tarion Warranty Corporation and is the 3 time winner, an unprecedented 3 years in a row, of the coveted Grand Sam Award for Project of the Year from the Greater Toronto Home Builders Association. 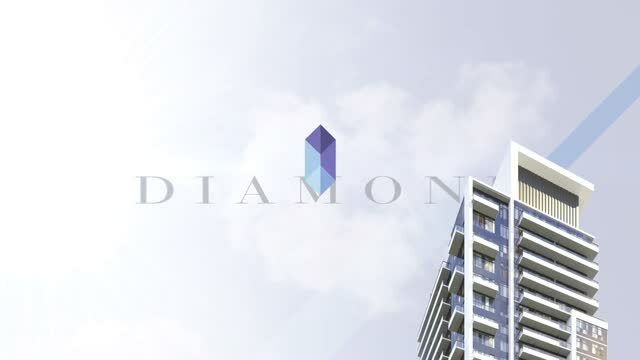 A dynamic builder with vision, Diamante has earned an excellent reputation in the development, design and construction of major condominiums throughout Greater Toronto Area and beyond. Quality, superior architecture, aesthetic excellence and interior customization have become Diamante’s quintessential trademarks. Landmark projects like One Balmoral, One City Hall, Two Roxborough, Domus in Yorkville, The Royalton, and Phoebe on Queen are sterling examples of Diamante’s passionate dedication to development and to the client and the city. The Florian, completed in 2013 is already the most sought-after luxury building in Toronto. The Diamond on Yonge is the Diamante Group’s latest jewel.